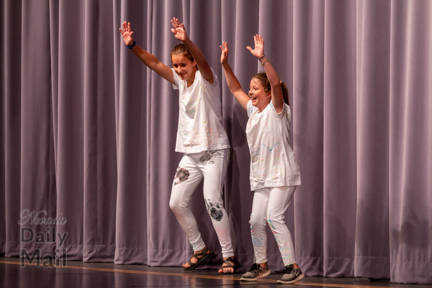 Halle Hawks and Kierston Eador sing "Party in the USA" at the 2018 Truman all-school talent show at the Ella Maxwell Center for the Performing Arts on Wednesday. 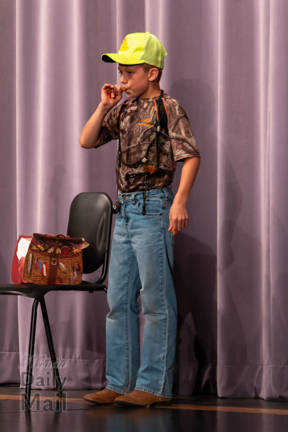 Kason Clark deomnstrates a varity or game calls at the 2018 Truman all-school talent show at the Ella Maxwell Center for the Performing Arts on Wednesday. 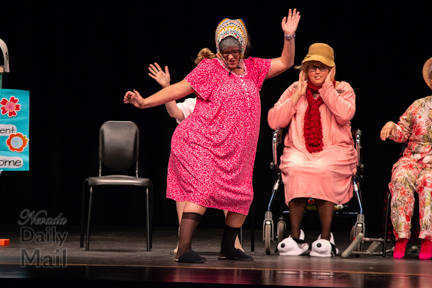 Ella Heathman and Caylee Holcomb dance to "The Cupid Shuffle" at the 2018 Truman all-school talent show at the Ella Maxwell Center for the Performing Arts on Wednesday. 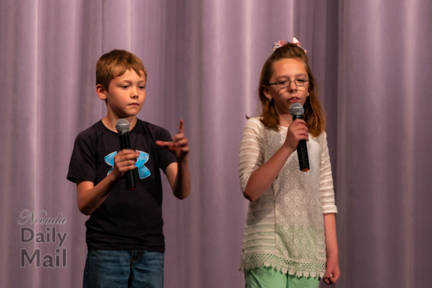 Colton Jones and Aubry Null sing "This Is Me" at the 2018 Truman all-school talent show at the Ella Maxwell Center for the Performing Arts on Wednesday. 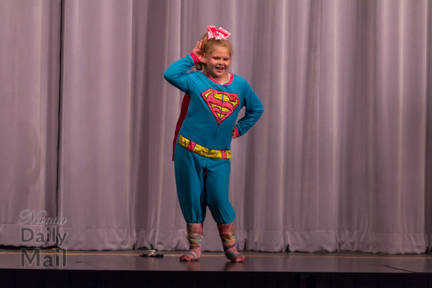 Grace Frye dances to "Boomerang" at the 2018 Truman all-school talent show at the Ella Maxwell Center for the Performing Arts on Wednesday. 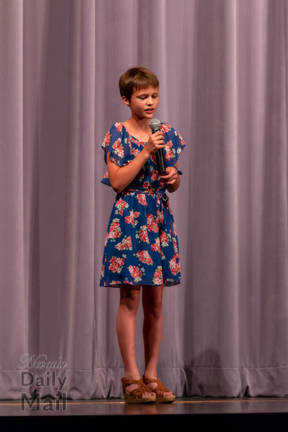 Mariska Buehler sings "Walking After Midnight" at the 2018 Truman all-school talent show at the Ella Maxwell Center for the Performing Arts on Wednesday. 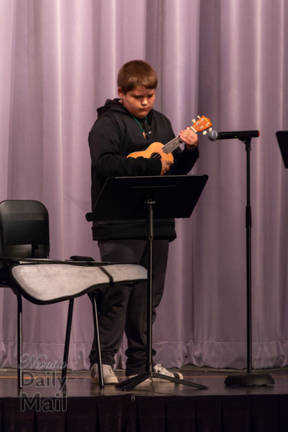 Adrian Hernandez plays "Can't Help Falling in Love With You" on his ukelele at the 2018 Truman all-school talent show at the Ella Maxwell Center for the Performing Arts on Wednesday. 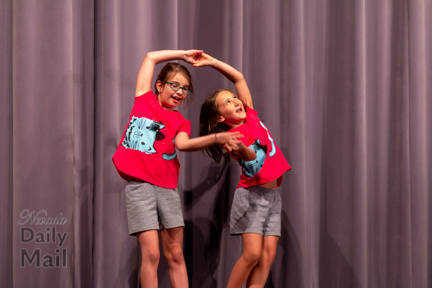 Marci Kimmel and Kali Fritter dance to "Better When I'm Dancing" at the 2018 Truman all-school talent show at the Ella Maxwell Center for the Performing Arts on Wednesday. 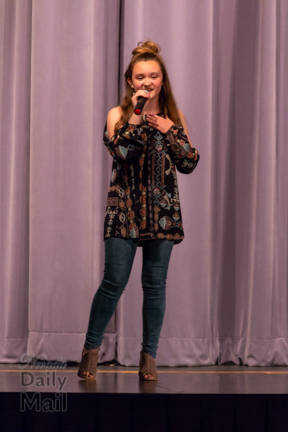 Charli Wydick sings "Trust In You" at the 2018 Truman all-school talent sh ow at the Ella Maxwell Center for the Performing Arts on Wednesday. 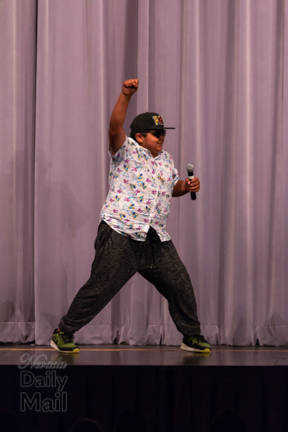 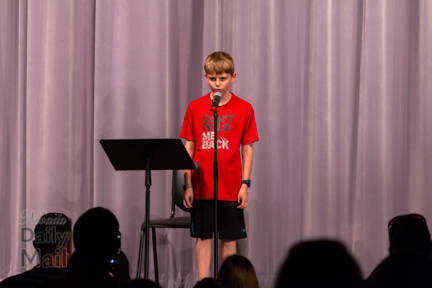 Jaxx Blakely performs Vanilla Ice's iconic "Ice Ice Baby" at the 2018 Truman all-school talent show at the Ella Maxwell Center for the Performing Arts on Wednesday. 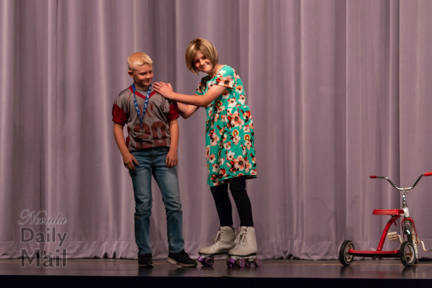 Kobe Buck and Jacob Hope performed a skit to Melanie Safka's "Brand New Key" at the 2018 Truman all-school talent show at the Ella Maxwell Center for the Performing Arts on Wednesday. 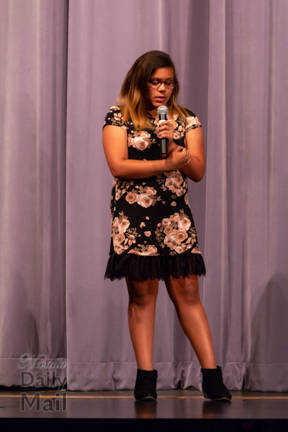 Jayda Clakr sings "A Thousand Years" at the 2018 Truman all-school talent show at the Ella Maxwell Center for the Performing Arts on Wednesday. 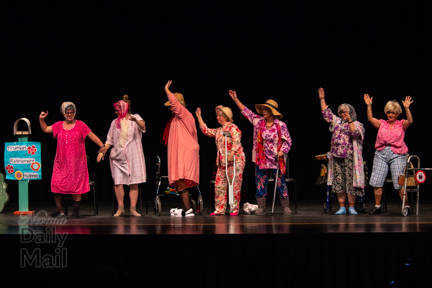 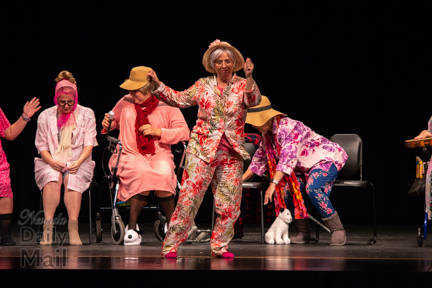 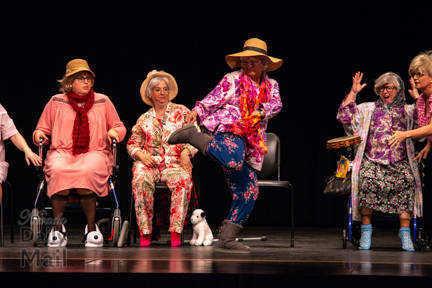 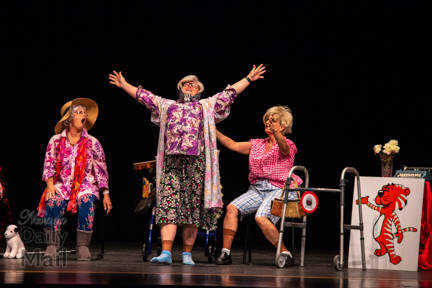 A surprise last performance, some of the teachers from Truman Elementary danced to a mix of Top 40 songs to the students cheering and clapping at the 2018 Truman all-school talent show at the Ella Maxwell Center for the Performing Arts on Wednesday.